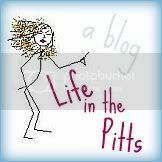 Life in the Pitts: 3 months later, I still didn't know his name. In college, I took a dance class. I took a lot of dance classes, actually. But one time I decided to try Latin Ballroom. There were almost always more girls than boys, and so the girls would all take turns being the boy. Especially the tall girls- they got a lot of turns. But they could gain 5 lbs without anyone noticing, and could reach things in the cupboards without climbing on the counters, so it was fair. 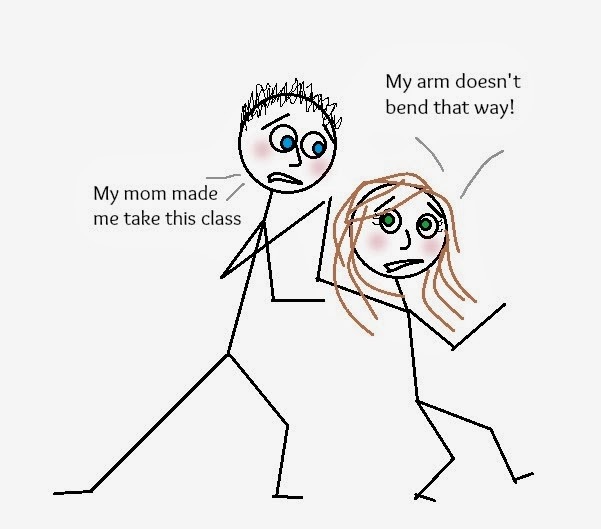 At the beginning of the class, the teachers would show a dance move, usually some kind of hip swivel, and then the class would try to copy them. Then they had us line up in two circles, "boys" on the inside, girls on the outside, and we would practice that move with a partner. Sometimes the results were funny, and sometimes they were painful. Then, just when you almost had it, they would rotate the girls one spot, and you'd have to try and learn all over again. Conversations are always awkward when you are just meeting someone for the first time, and they are already breathing on your neck. They are even more awkward the next week, when they remember your name and try to continue that 3 minute conversation, but you honestly have no memory of ever seeing them before in your life. Because by then so many guys had breathed on your neck, it wasn't even special anymore. For the class final, we had to compete in a region-wide dance competition. One where people came from places like Las Vegas and Idaho, and had costumes worth more than 3 months of rent combined. We weren't competing in those levels (ha! ), but in front of those judges. So there was pressure to not be awful. One day in class, they told us to start thinking about who we wanted to be partners with. The tall girls couldn't compete as boys, so some of the tall boys would have more than one partner. In this kind of thing, people generally partner up with somebody about their own size, so I was looking at the shorter guys in the class. And none of them were amazing dancers. Except one. That one had already been picked by the time I approached him (about 30 seconds after they told us to start considering). And it turns out the girl who got there first was very serious about it, because she even got engaged to him to secure her spot as his dance partner (I assume). It was really awkward when I asked him, because he blushed bright red, coughed a little, and explained that he had already promised Shelly that he would be her partner for this competition and for life. He said it like he was letting me down easy, and was worried I would cry. Silly boy. I'd been at BYU for 5 years. If half the class wasn't engaged by the end of the semester, to people they hadn't even met at the beginning of the term, then I wouldn't have recognized the place. I turned away from that conversation ("No really, congratulations!!" mostly aimed at the fiance glaring at me from 5 feet away) and almost ran into that awkward guy from picture #2. Super nice, very funny, not a good dancer. "So, Helena, I heard you don't have a partner? Want to dance with me?" No. I didn't. 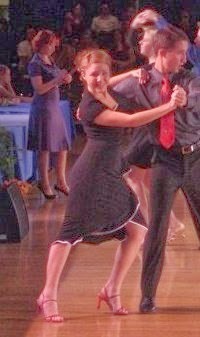 Because as much as I like social dancing for the social part, I really love performing and doing well. But, what could I say? That my second choice was standing 10 feet behind him? "Oh! Um, yeah. Totally." Crap. For the next 5 weeks, we danced pretty much exclusively with our partner. And I didn't know his name. The first few months of class, I had been meeting and remeeting guys (and "guys") every 3 minutes. After the first few weeks, I didn't bother trying to remember names. Plus, I'm just bad with names in general. And sometimes faces. Remember the office intern? But my partner remembered my name, and lots of details about me that I had probably mentioned in conversations (but as I had no memory of these conversation, he could have learned them through extensive stalking). I meant to ask his in the beginning, but it just never came up naturally. And no one ever said his name nearby. 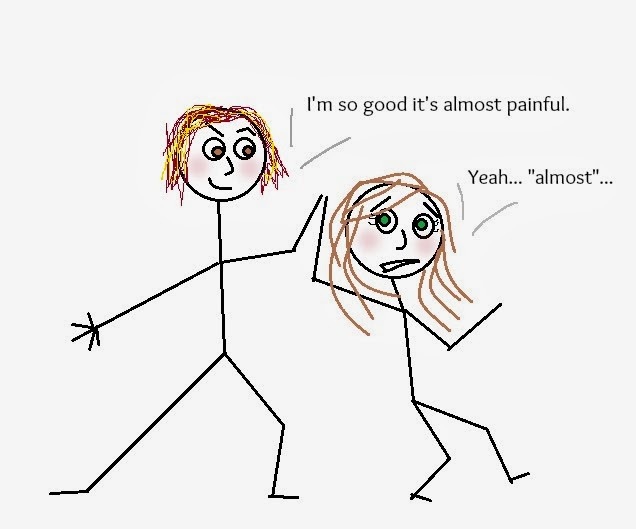 So week after week, this nameless partner continued to breath on my neck while I desperately tried to think of ways to get him to say his name. When it started getting close to the competition, I suggested we meet outside class to practice. He had been improving, but not as fast as I needed him to. 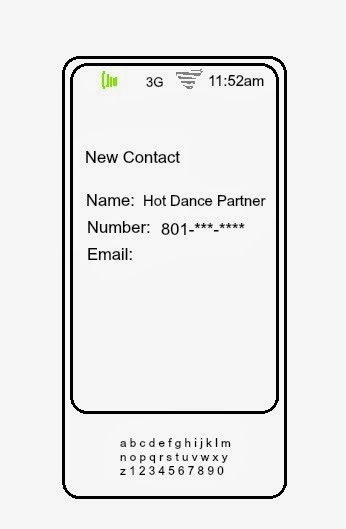 "Here, put your info in my phone, so we can get together." A few minutes later, he handed my phone back. When I ran into him with a friend, I tried the old "Hi! This is my friend Caroline." And then waited for him to finish the introduction. "Hi! I'm Helena's dance partner. You should come see us dance!" Then he ran off to class. "Maybe we could have a team name! Let's combine ours!" "Yeah, we can call it Herlanis!" It was so, so awkward. We got second place in the competition. They asked me to try out for the beginning ballroom team (but I was already winding down my college experience). I was really proud of how well we did. But the thing that stands out the most? Is the fact that I danced with my partner every day for 3 months, and never learned his name. Beat that, you guys. Beat that.